A Scotch egg in my lunchbox will make me very happy! So when I heard from the horses mouth that she is busy with her own cookery book, not only was I overwhelmed with excitement, but I felt daunted at the thought that the proverbial bar just raised extensively! The book launch for Jane-Anne’s cookbook, Scrumptious was as warm and unpretentious as the author herself and to me it was like visiting her at home with a couple of friends. I can imagine Jane’s friends and family gather around her bountiful tables just like that. 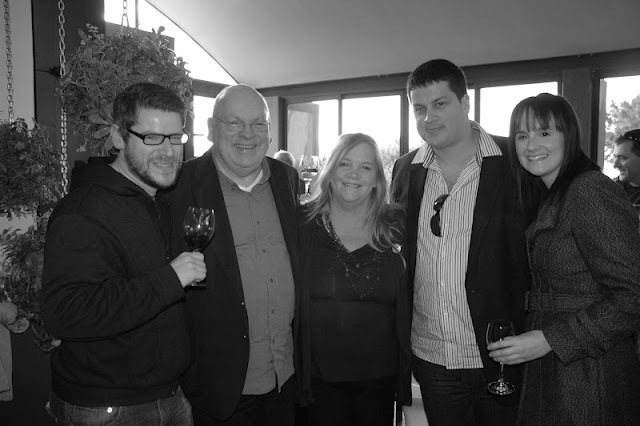 Matt Alison, Michael Olivier, Jane-Anne, Fritz Brand and Linda Harding at the launch. Back to the cookbook. Each and every recipe, triple tested and captured in the most beautiful images by Michael Le Grange, is just so unique and delightfully different. Her flavor combinations and use of carefully selected ingredients, are just awe-inspiring. Truly a book to cherish and use. I suspect that this will definitely not be the last book from this acclaimed journalist, editor, cook and now author. Get the book, you will love it! 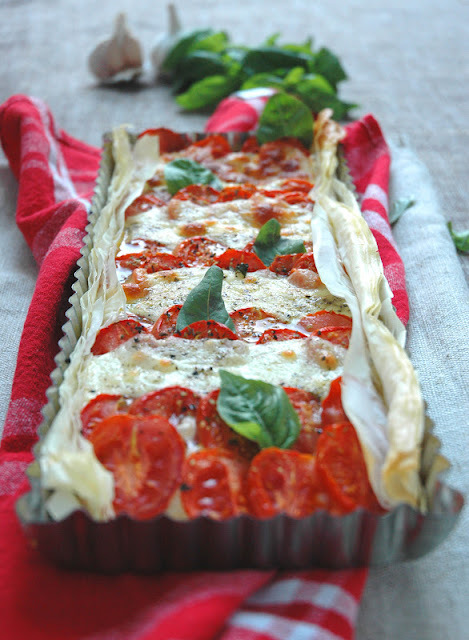 For our show on RSG tomorrow, we will be talking about pantry ingredients and for that reason I have chosen the Hot Caprese Tart from her book, Scrumptious, as it is made with phyllo pastry and I always keep phyllo pastry at home….for me a must as a life-saver when unexpected people arrive. news for ideas to keep the pantry stocked and this delicious recipe. Pre-heat oven to 170 C.Unroll the pastry on a board and keep covered with a damp cloth. Melt the butter in the microwave and start by brushing the bottom and sides of a non-stick baking sheet. Line the pan with the first sheet of phyllo pastry, allowing the pastry to drape over the sides. Brush the phyllo with butter and sprinkle with about 1 T of the Parmesan. Add another layer of pastry and repeat the process until all the phyllo is used up. 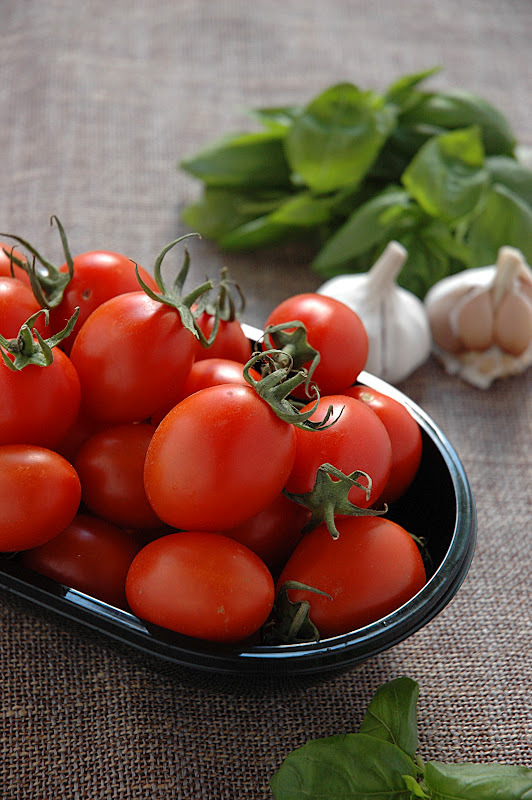 Thinly slice the tomatoes and the mozzarella and arrange the slices alternatively in overlapping rows on top of the pastry. Bake until the pastry is golden and crispy and the cheese melted. 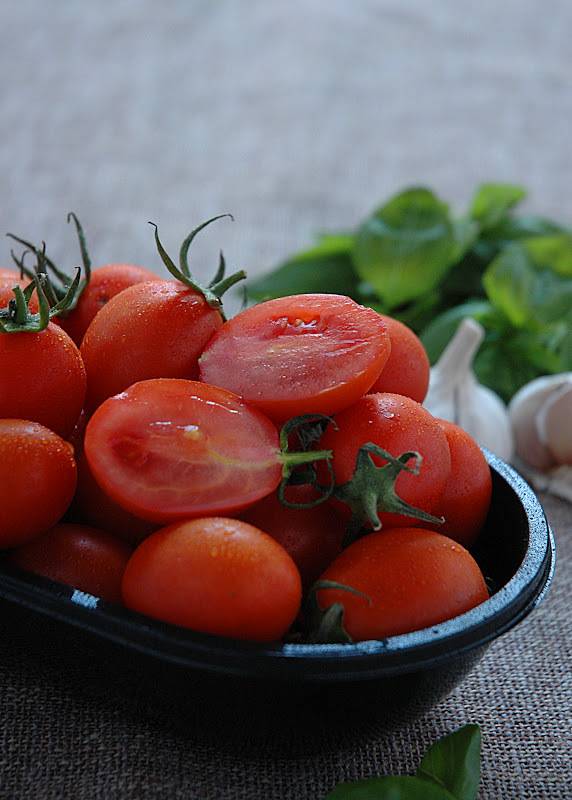 Remove from the oven and tuck in the fresh basil leaves and drizzle with olive oil before serving. Cut into squares and enjoy! launch…..think again. 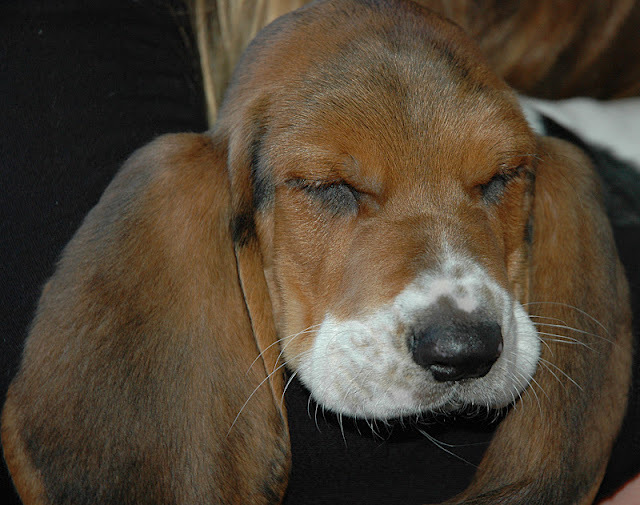 Harley had that one in the bag ……..